In this article we explore the most commonly asked questions from first-time buyers. Buying a home is probably the biggest financial investment most individuals will make in their life. As such, first time buyers often have lots of questions around the buying process. What is Stamp Duty and do I have to pay it as a first-time buyer? Many first-time buyers will know the feeling of scrimping and saving to hit that magical five per cent or 10 per cent figure in order to pay for a deposit on their first home. However, it doesn’t end there. Traditionally on top of the deposit is the dreaded lump sum fee of Stamp Duty Land Tax. However, recent changes to stamp duty have made getting your foot on the first rung of the property ladder much more achievable. Stamp Duty Land Tax (SDLT) is a tax applicable to any property purchase over a certain amount. The rate you pay corresponds with the value of the property. It is traditionally paid as a percentage of the property value in a one-off payment on completion of the purchase. This has often been a barrier for first-time buyers and isn’t always accounted for. On top of your deposit this can be a big hit to your pocket all at once. Fortunately, this has now changed with the implementation of first-time buyer’s relief. 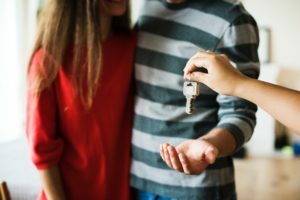 What is first-time buyer’s relief? Since the Autumn 2017 Budget, full relief from SDLT has been available for first-time buyers of properties costing up to £300,000. This has recently been extended in the Autumn 2018 budget to £500,000. This means that is you are a first-time buyer and you purchase a property up to a value of £500,000 then you will pay no SDLT whatsoever! To put it into perspective, before the implementation of this relief, if you purchased a property at a value of £250,000 you would’ve paid £2500 on stamp duty alone. That money can now be put to better use for the essentials (such a big TV!). Do I qualify as a first-time buyer? First-time buyer’s relief does exactly what it says on the tin. The relief applies to anyone who hasn’t owned a property before but there are some pitfalls to watch out for. It also applies to inheritance of properties. So you cannot have previously inherited a property. The most common scenario we come across are couples buying a home together. It is important to note that if one of the couple has owned a property but one hasn’t. Then the relief does not apply and SDLT will be payable at the usual rate. The final piece of the puzzle is to hire a great conveyancing team to do the legal work on your behalf. If you are interested in buying a residential property or if you have any other conveyancing needs, please contact us or visit lcfresidential.co.uk. This article was written by Julie Davis. Julie Davis joined LCF Law in 2013 to head up our Residential Property division. Julie has years of experience acting for buyers and sellers, lenders and agents. Ensuring each of her clients have as smooth and quick transaction as possible.